If you are interested in participating in any of the Parish outreach programs please Contact Us! The Food Pantry Ministry provides a warm and welcoming contact to the hungry in our local and greater community area. Housed within, this ministry collects and distributes food items and other necessities to the needy in our community. Saint Mary's Food Pantry hours are Tuesdays and Thursdays from 6 - 7:30 PM. Approximately 50 volunteers work to ensure those needing food in Caroline County are provided items to prepare meals to feed their families. Over 200 families are registered to receive food once a month. The ministry is self-sufficient; we do not use parish funds for sustainment. The doors are kept open by monetary donations, low cost purchases through the Fredericksburg Area Food Bank, and other charitable acts such as the Polar Bear Plunge, Wright's Chapel Christmas in April, and food-stuff donations by our parishioners. The Prayer Shawl Ministry combines helping others through prayer and the love of knitting/crocheting. This ministry reaches out to those in need of comfort and solace or to those who are thankful for their blessings. Each shawl maker begins each new shawl with prayers and blessings for the recipient. These prayers are continued throughout the creation of the shawl for those new people seeking aid, in addition to all those who have received shawls since the beginning of the ministry. 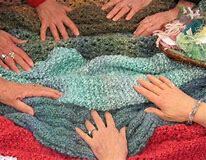 Upon completion, a final blessing is given to each shawl before the ministry sends it on its way to wrap the recipient in the love and comfort of the group's prayers. If you would like to join the group, they meet to make shawls on Tuesdays from 11 am to 4pm. You can also work at home and drop your completed shawl off at the church office. If you have any extra yarn that you'd like to donate, the group would be happy to put it to use in the ministry. We'd be glad to welcome you to the group! The Sick and Homebound Ministry assists those with health concerns by providing advocacy, prayer and comfort, shopping, transportation, and visitations. Acting as a liaison with other ministries, the Sick and Hombound volunteers also minister to those in need by seeking support through the Food Pantry, as needed, and most importantly, by sharing the Eucharist as often as possible. 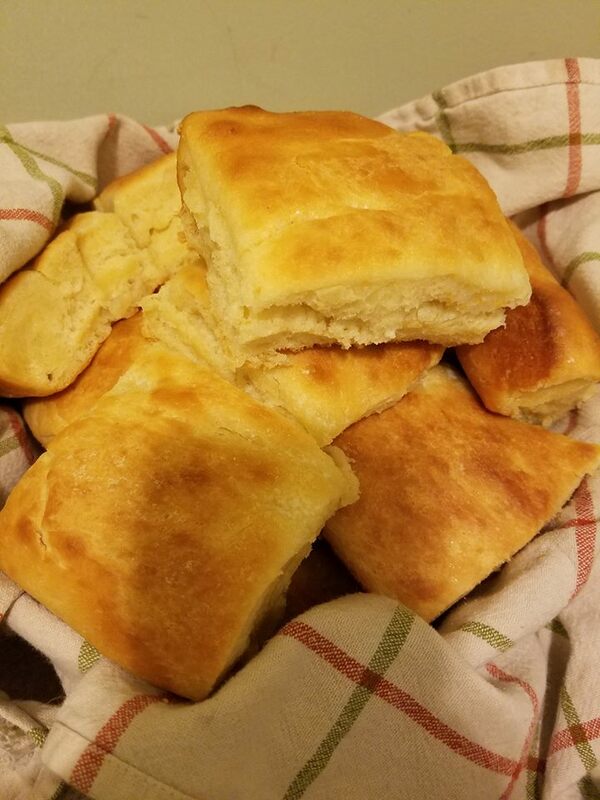 Ministry to the Homeless volunteers cook and provide meals to the homeless shelters in the Fredericksburg area, namely Micah Ministry at Shiloh Baptist Church and the Thurman Brisben Center. Meals are generally provided once a month and on special occasions. The Haiti Twinning Ministry is part of the Diocese of Richmond Haiti Commission that began in 1984. St. Mary's is "twinned" with St. Martin schools in the mountainous region of Hiche, Haiti. While we do share a mutual faith relationship, given the abundance Americans have in comparison to the Haitians, St. Mary's intent is to support this school through student scholarships. St. Mary's provides 10 student scholarships per year. The Christmas Giving Tree program helps brighten the season for local families in need. This really is a "giving tree." Lists of families (without names), their needs, and details (sizes, ages, etc.) are put on tags and hung on the tree. Members take a tag, buy the items, and return them before Christmas. This project is done with support from the Dept. of Social Services, Caroline School District, and the County Sheriff's Department. It supports 20-25 families. 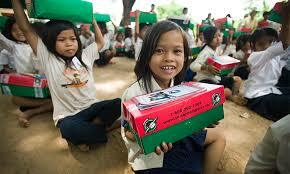 Samaritan's Purse is a project known simply as "the shoebox" project. Parishioners fill a shoebox sized container with school supplies, little toys, toiletries, and hard candy to be shipped to needy children worldwide. This seasonal project is worked with our local collection center, Calvary Baptist Church in Bowling Green. The collection day is the Sunday before Thanksgiving.